The information presented on this page was originally released on May 6, 2004. It may not be outdated, but please search our site for more current information. If you plan to quote or reference this information in a publication, please check with the Extension specialist or author before proceeding. Keep your eyes open when shopping at local garden centers and you just may find Honey Bee Blue agastache. Herb lovers have been growing this plant, also known as anise hyssop, for years and relishing in not only its beauty but also its tough nature. The botanical genus Agastache is related to other well-known garden plants like salvia and coleus. This is one great perennial that I can't imagine being without. 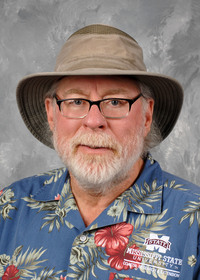 It is hardy from zones 5 to 9. Even though we had a wet winter, they are ready to bloom not only in my landscape but in the containers I left on the deck all winter as well. The Honey Bee Blue agastache, which also comes in Honey Bee White, is well named -- it is much loved by every kind of bee in the neighborhood. Plant some of these and you will add a new dimension of sound to the landscape: the buzz of the busy bees. The plants reach about 20 to 36 inches tall. Select a site in full sun for best blooming and to keep the plants compact. The soil should be fertile and well drained. Wet feet will spell doom for the anise hyssop during the winter, so incorporate organic matter to loosen the soil or plant on raised beds. They are easy to grow from seeds that germinate in seven to 14 days. Space plants 12 to 18 inches apart. Though the plant is drought tolerant, watering during prolonged dry periods will pay dividends with added flower production. Feed spring growth with a light application of a slow-release, balanced fertilizer. A mid-summer application will keep the plants at peak for the fall. Honey Bee Blue responds well to cutting back, so feel free to do so if the plants begin to look a little leggy or you simply wish they were bushier. Once frost damage has occurred, cut back and add a protective layer of mulch. Honey Bee Blue is a great choice for butterfly and nature gardens. Use it as a lower-level planting to buddleias and in combination with lantanas. In the flower garden, plant boldly in drifts adjacent to gold-yellow and orange marigolds. Purple Heart and pink shades of petunias or periwinkles also work well. The flowers are well suited to cutting and drying and have a licorice aroma. These flowers also do well in mixed containers. I have used them with purple fountain grass and rust-colored coleus for a great fall look. I have also combined them in containers with the old-fashioned society garlic and Wave petunias. In addition to the Fleuroselect Award-winning Honey Bee Blue and Honey Bee White, also look for last year's All-America Selections winner, Golden Jubilee. This showy variety has lime-green foliage with blue-violet flower spikes. Other varieties to look for are Licorice Blue, Licorice White and Alabaster, which is also white. 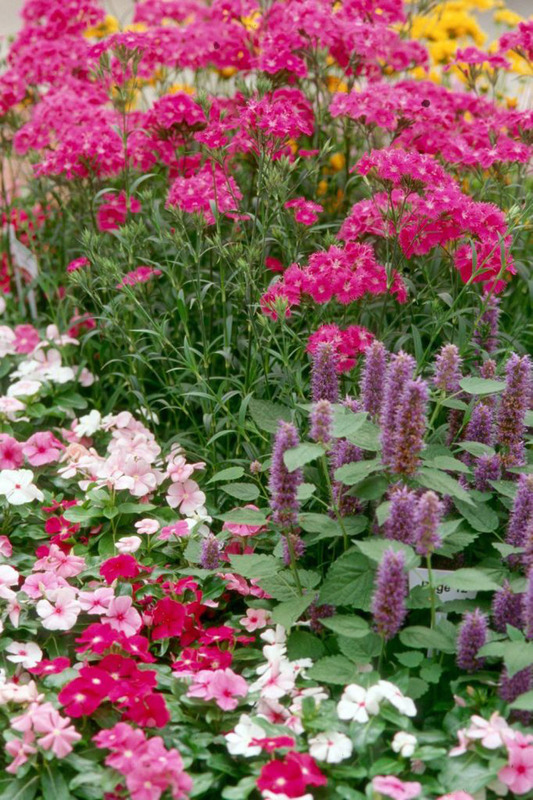 If you don't find them in the perennial section of your garden center, try looking in the herb section where many garden centers have had them in the past. 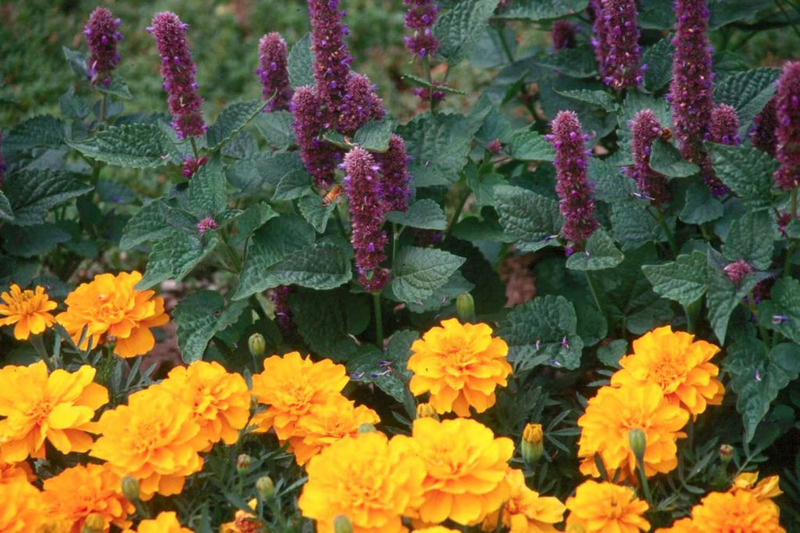 Jump on board and give the agastache a try.